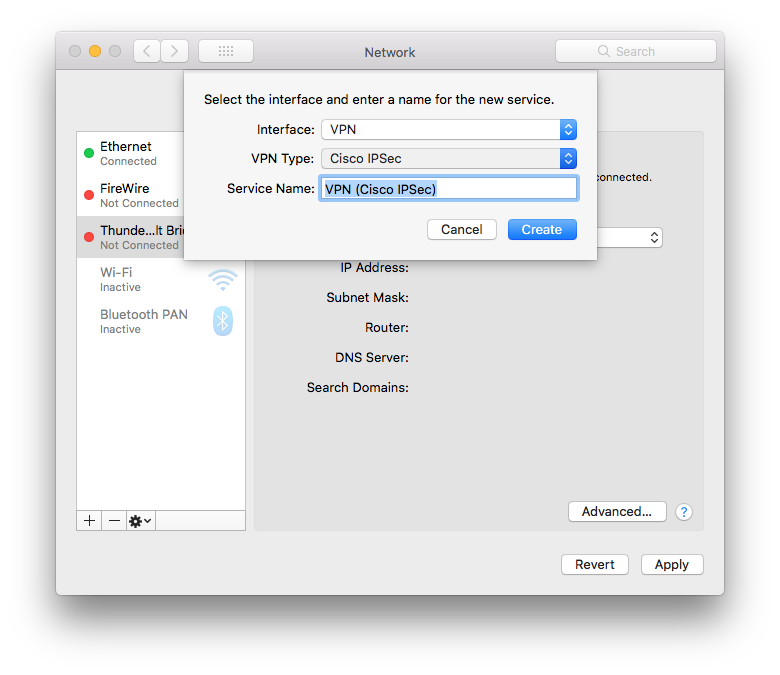 OS X Snow Leopard (OS X 10.6) macOS (formerly OS X) supports establishing encrypted connections to a VPN server through the L2TP over IPSec, PPTP and Cisco IPSec protocols without the need for a third party VPN client. 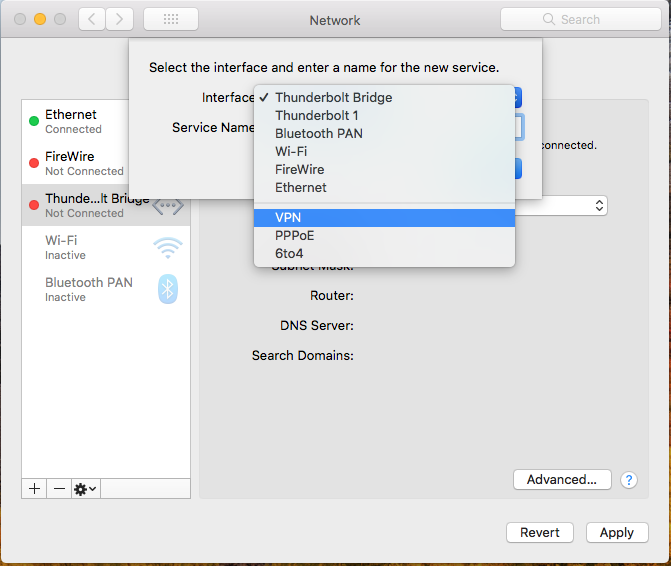 With this built-in feature, you’ll be able to connect to your MacStadium private cloud without having to find and utilize a third party client. 1. 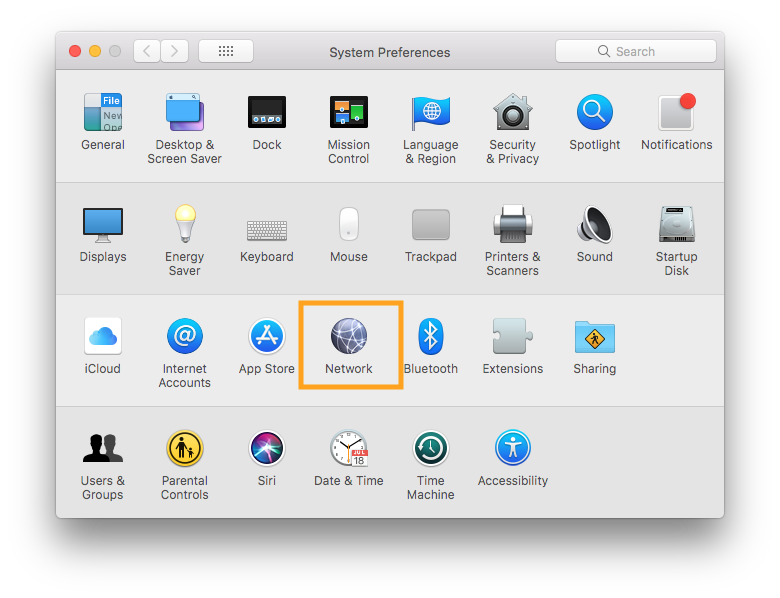 Open System Preferences and then select Network preferences. 2. At the bottom left of the screen press the + sign to create a new network interface. 3. 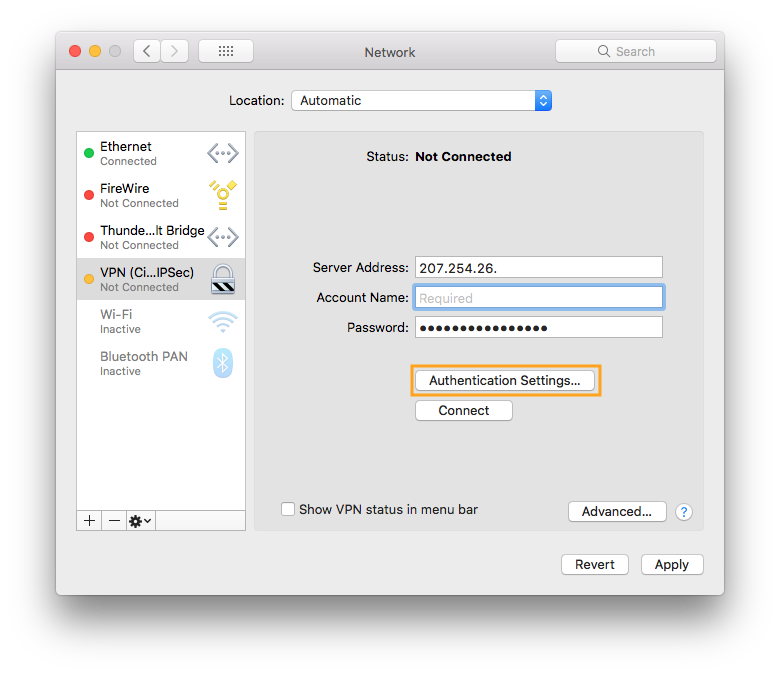 In the dialog box select the interface type VPN and then select Cisco IPSec as your VPN protocol type. 4. Once you have created the interface you can enter the following credentials in the appropriate boxes. We also recommend that you choose the checkbox to keep the VPN status in your menu bar at the top of the screen for easy access to VPN connectivity. 6. 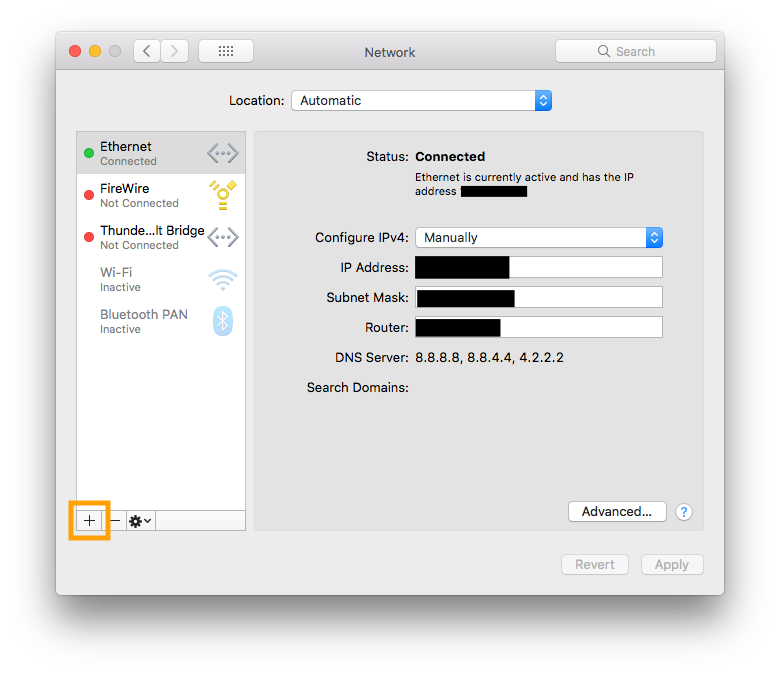 Select OK, and Apply in the Network Preferences window in the bottom right. 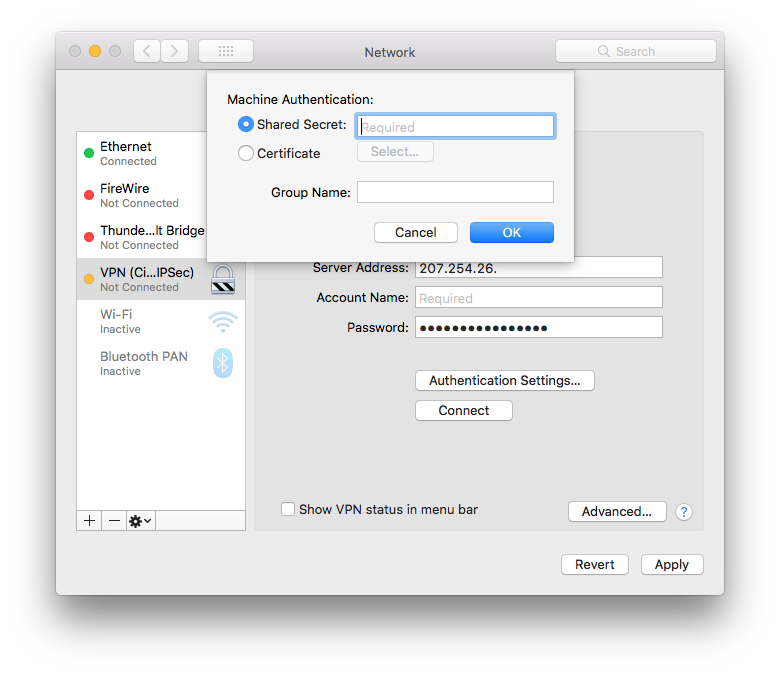 Select Connect below the Authentication Settings button in order to connect to your MacStadium private cloud.